It was a long flight from the West Coast to Lima, Peru. Who knew the time zone was the same as the East Coast of North America! The Air Canada flight from Vancouver via Toronto arrived at 2am and it was a 30 minute ride to the Miraflores area, as there was no traffic at that time of night. February is summer vacation time in Peru and is the rainy season, but Lima does not receive much rain. They don’t even have street gutters! 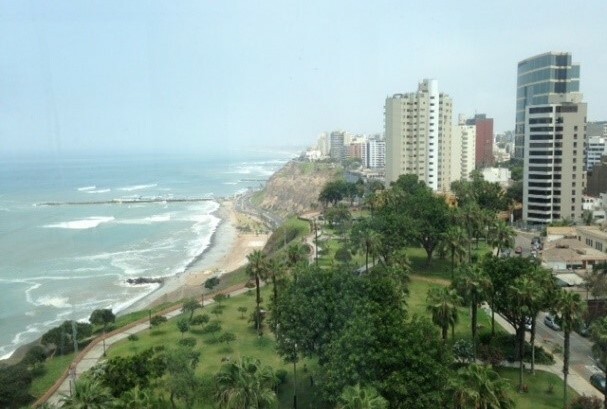 For a city of over 10 million, Lima was a very clean city. The Miraflores and financial district are 2 affluent districts of the city with many museums, shopping and restaurants. The Larco Museum is a must see as it houses the largest private collection of Inca artifacts and also has beautiful grounds. The Mira Flora area is set on a cliff with a surf beach below. 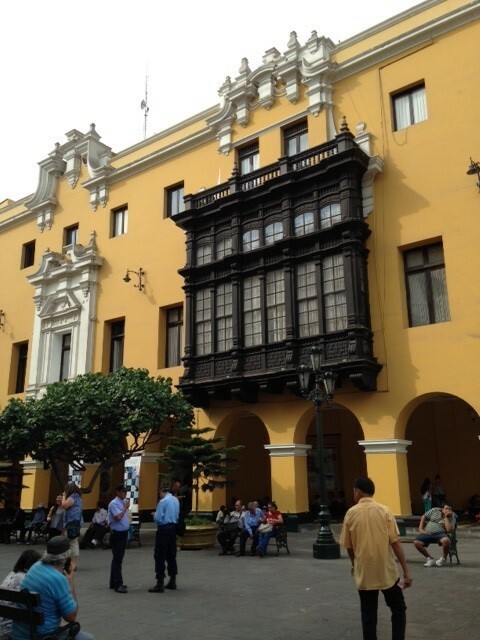 The city tour of Lima will take you to the historic center of Lima with its magnificent cathedral, Government palace and grand City Hall with it Spanish balconies. From Lima it is a short 1 hour flight to Cuzco which is a World UNESCO Heritage city. Cuzco is in the Peruvian Andes and was once the capital of the Inca Empire. Set at an altitude of 3,400m you will notice it when you are walking from the plane to the baggage area, as they say you do have to take it slow. Taking altitude sickness medicine is recommended and some hotels offer oxygen pumped into your room. All hotel lobbies offer Coca tea which also helps with altitude sickness. It is a pretty city with narrow cobble stone streets and is known for its archaeological remains and Spanish colonial architecture. 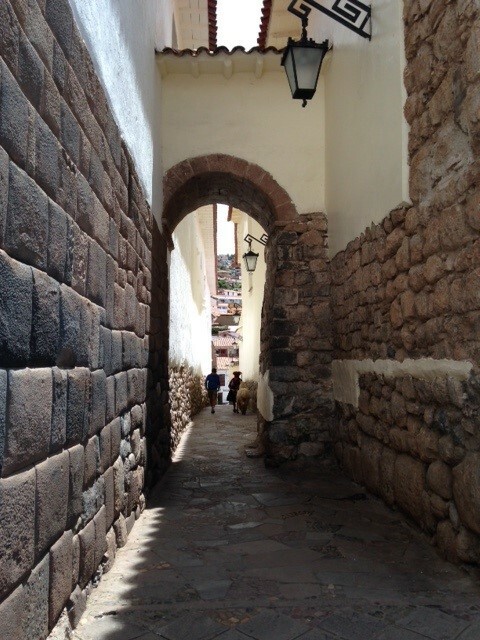 Cuzco is the gateway to Inca sites in the Urubamba (Sacred) Valley and the Inca Trail and finally Machu Picchu. This town is worth a 2 day stay as there are many historic sites here. The journey from Cuzco to Urubamba is a picturesque drive and with stops along the way is about 3 hours. There is a Lama/Alpaca farm called Awana Kancha where you can see how they make the wool and how they produce the natural colours to die the wool. At the end of the exhibits is a cooperative shop with something for everyone. Shortly after the farm you will come to the lookout over the Sacred Valley and the Urubamba River. The town of Pisac is where you will stop as they have a large outdoor market. The main road follows the river along the valley past many corn fields. 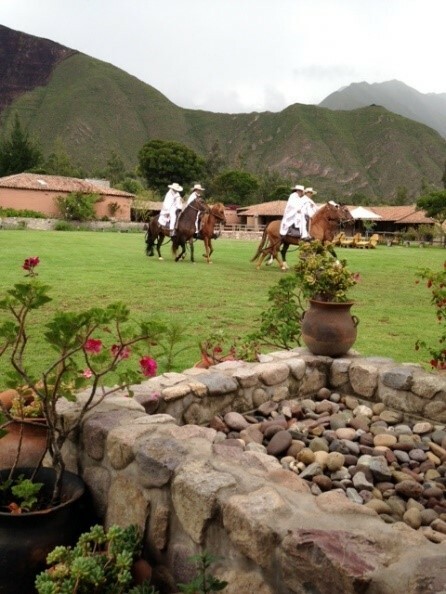 A stop at a Peruvian Horse show is worth a lunch/show stop at the Sol y Luna Hotel. This area is fantastic for bird watchers, bikers, hikers and any other outdoor actives. Along this valley you will also find the rock climbers hotel perched 400m up with the pods for 4 clinging to the cliffs. The Inca town of Ollantaytambo is an archaeological site. During the Inca Empire, Ollantaytambo was the royal estate, town and a ceremonial center. 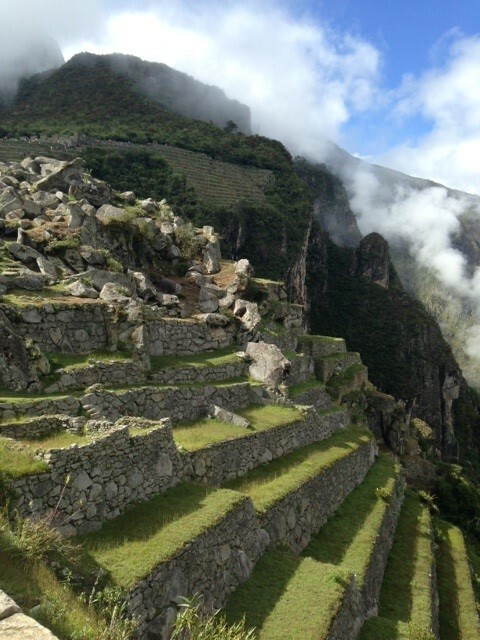 Nowadays it is an important tourist attraction on account of its Inca buildings and as one of the starting points for the four-day, three-night hike of the Inca Trail. This is also where the train station is for the ride up to Machu Picchu. Staying in the Sacred Valley for 2 days to just relax would be well worth it. There are 3 classes of trains for the ride up to Machu Picchu, formally called Aguas Calientes. There are no cars in the town except for the buses the run the 20 minute ride up to the entrance of the Inca site. Plan on walking from the train station to your hotel. Some hotels will meet you to transfer your hand luggage to your accommodation. 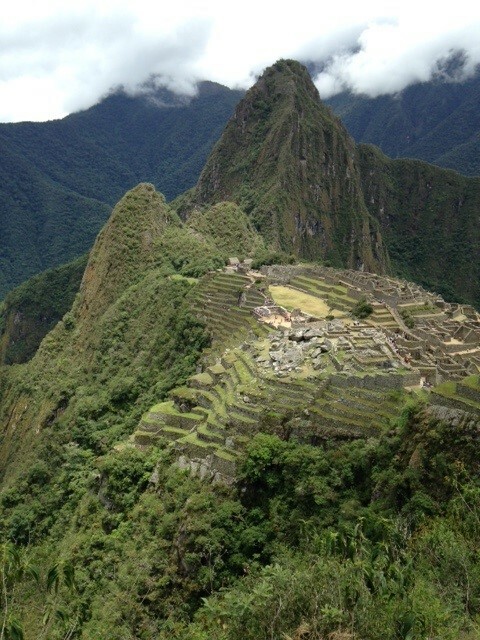 To reach the National Park of Machu Picchu you can take the bus or do the strenuous climb that takes about 90 minutes. Your entrance ticket allows you to enter the park 3 times in a day. You are no longer allowed to take hiking sticks in the site which may be an issue for some clients. If you want to hike to Huayna Picchu which is the famous peak, you will need to have a separate ticket with an entrance time. You may need to obtain this 4 months in advance or more. The Machu Picchu Mountain peak is the higher point that has the best view of the area surrounding the ruins and is spectacular. Having a guide with you in the site is well worth it as they can guide you through the maze of pathways and tell you what it is you are looking at. To cover both the main site and the upper level you will need at least 4 hours. I highly recommend arriving early as there are less crowds plus the light is great for photo’s. Just outside the main gates is the Belmond Sanctuary Hotel. They operate a buffet restaurant which is very good. If you do an early morning entrance this is a good option for a lunch and then go back into the park. Depending on the time of year you can take a train all the way back to Cusco. 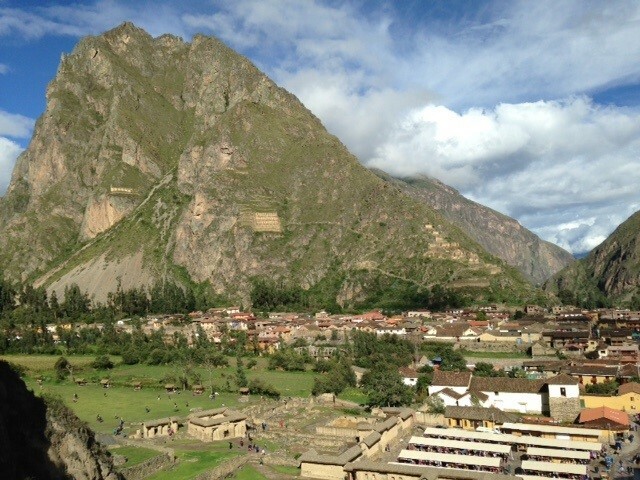 In the rainy season you normally can only take the train back into Ollantaytambo in the Sacred Valley which is 1 ½ hour trip, then a 2 hour bus ride back into Cusco. Older clients may want to stay in Sacred Valley that night and head to the airport in Cusco in the morning. If you do go back into Cusco that night it will give you a half day to explore the city before your afternoon flight back to Lima. The flight with Air Canada leaves at 3am for Toronto. Instead of hanging out at the airport departure area there is a Wyndam Hotel connected to the airport that offers a half day rate. It is worth the couple hours of sleep before the flight home.